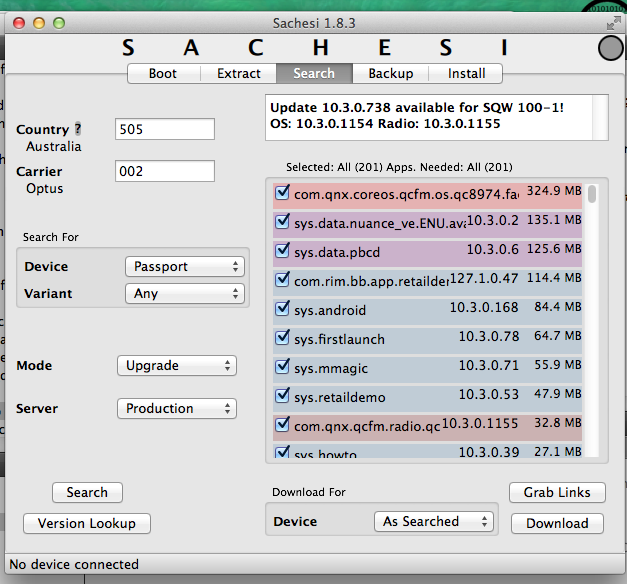 Introducing Sachesi. The results of my continued work on firmware tools for Blackberry 10 and Playbook. 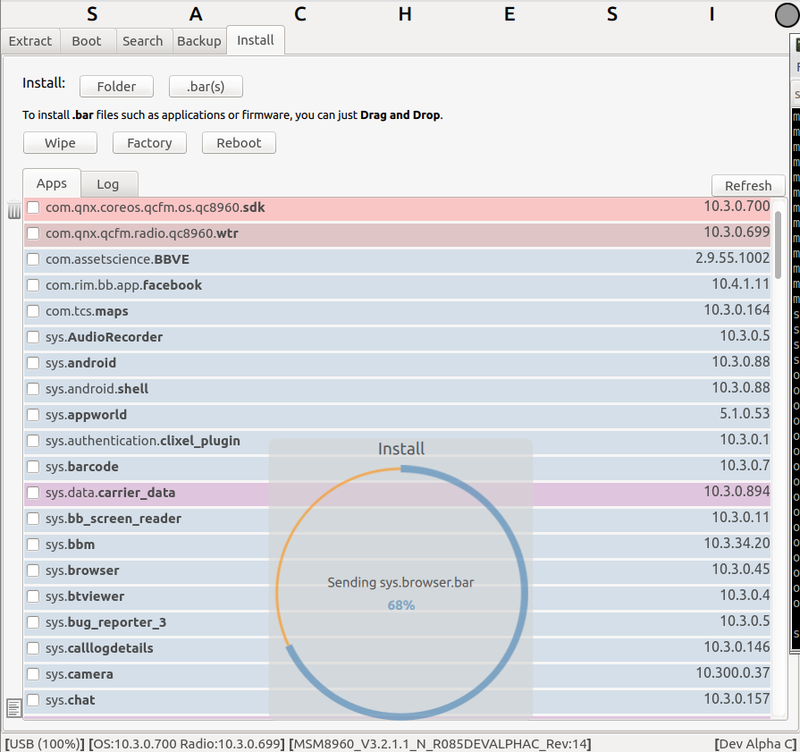 Sachesi allows you to extract, search for and (un)install Blackberry firmware. It also allows you to backup, restore, wipe, reboot and nuke. This is a continued evolution of the original Sachup and Sachibar applications. None of its activities require development mode. That is, you can sideload and uninstall applications without developer mode. Q. How do I support your work? Last edited by xsacha; 04-03-15 at 05:11 AM. Pete The Penguin, glimer4, faquick and 199 others like this. diegonei, Kamika007z, moody and 4 others like this. Will this combine SachiBar and SachUp applications into one? Looking good. So does this extract the existing software on a bb10 device ? Could we use this to install a custom designed os as well ? Yes. Also adds a few new things. Time permitting, it will have automated Android conversions and debug tokens (including native code). This app will work on any Blackberry10 device. You can't modify the OS partition. 00stryder, spike12, James Nieves and 10 others like this. Looking forward to the Linux version. Thank you. where do i find country code list and carrier? where do i foujnd country code list and carrier? you Sir, are a BOSS! Looks good. Automatic android conversion? I like that there is one android app i want. Brit Brit1 and lahuddu76 like this. Much thanks!! You are the man, this community has progressed to fast due to your efforts. I greatly appreciate all of your work. Brit Brit1 and AtInsider like this. Brit Brit1 and anon(55900) like this. You are awesome. Thank you for all of your hard work. Got2GetAway, Anilu7, saxxman and 2 others like this. That's not how you use it. The OS.signed is what you use for that. akavbb and AtInsider like this. Thanks man. You are the one. +1 for Mac version. Would be happy to beta test for you. I also have a Linux machine I can test as well. Q10 shows "4G" and Z10 shows "4GLTE"
BlackBerry needs to get BB10 in cars, and fast! July 9th Blackberry Webcast What do you expect and What do you want to hear?